Dr. Stevens serves as the medical director of Marina Plastic Surgery Associates in Marina del Rey, CA. He is a Board Certified Diplomate of the American Board of Plastic Surgery and a Fellow of The American College of Surgeons and The International College of Surgeons. Dr. Stevens is the director of the USC Aesthetic Surgery Fellowship and Aesthetic Surgery Division, on the editorial board of The Aesthetic Surgery Journal and on the board of directors of the American Society of Aesthetic Plastic Surgery. An international traveling professor, Dr. Stevens was recognized by his peers as one of America's Best Physicians in "The Guide to Top Doctors." 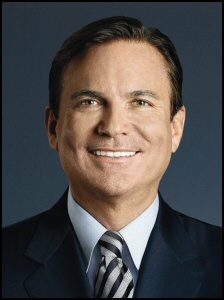 He is past chairman of the California Medical Association Advisory Panel on Plastic Surgery. He has received the Special Congressional Certificate of Recognition and the Distinguished Service Citation from the Medical Board of California.